Official sales numbers are out, and Southwest Florida housing median home prices rose 2% past year. March 2018 median home price came in at $260,000, up from $255,000 last year. 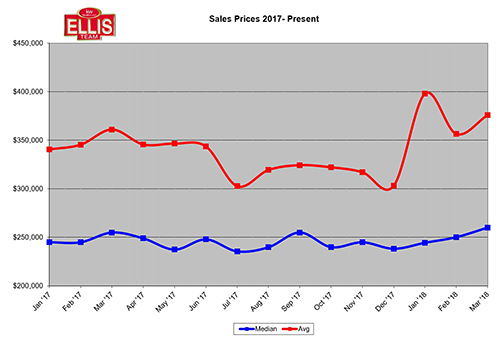 All year we’ve been saying home prices have been flat since about June, so this was a nice rise albeit a moderate rise. Average home prices were up 4.1% to $375,895, up from $361,082 last year. The number of home sales were down 2.7% in March versus last year. So, what is the takeaway from these numbers? Statistically we have a balanced market neither favoring the buyer or the seller. Of course, certain price ranges and neighborhoods can vary. These are what we call sub-markets. All real estate is local. It doesn’t matter if you’re in Pittsburgh PA, Peoria IL, or, Cleveland OH. What’s true in one market can be different in another. What’s true in one market can be different in a sub-market of that same market. Therefore, it’s important to work with a seasoned Realtor with experience in the market you’re looking. While I believe the Ellis Team are some of the best agents around, we wouldn’t be in another town like Pensacola or Jacksonville. Sure, we’re licensed Florida agents and can serve you anywhere in Florida, but is that wise? By the same token, national websites cannot help you like a good local one can. 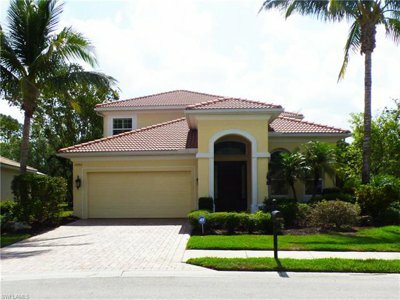 www.LeeCountyOnline.com is the best local SW Florida real estate website for several reasons. It has all the listings, and it’s updated instantly. Other large national websites don’t have all the listings, and many of the listings they do have offer incomplete or inaccurate data. We’ve had calls on our own listing and the condo or HOA fee is completely wrong on the national sites. It’s correct on our website. We’ve had calls on a property that wasn’t on the market from one of the national sites. Turns out the property sold three times since the listing they found. We have no idea how they could have a listing from a decade ago on their site. You’d think they’d at least get the last listing, not three before it. Selecting the wrong agent to work with you can be a costly mistake. Sometimes people choose to work with a friend or relative to purchase a home. When you find out you bought the wrong home, or paid too much for it, it can be frustrating. Or worse, when you lose the home over an inspection issue that could have been handled with a little experience and know-how. There’s no substitute for hard work, and experience. Choosing the right lender is important too. Some lenders have high fees, while others are notorious for rigid underwriting requirements and not getting loans closed. Experienced Realtors know which lenders perform what they say, on time, and where the best rates are. Did you know most lenders have extra requirements they place on buyers? They’re called overlays. We work with lenders that offer little or no overlays, so the buyer can be approved almost instantly. Buyers hate all the documentation and hoops banks make you jump through just to get a loan. Insurance is another big issue. A large homeowner’s or flood premium increases your monthly payment. This can alter how much home you can afford. Remember, you’re approved for a total payment amount. Why let insurance eat away at your purchasing power? We know a few good insurance agents we keep in our pocket. It helps our buyers beat out other buyers to the best properties. Posted in Cape Coral, Cape Coral Real Estate, Fort Myers, Fort Myers Beach, Fort Myers Real Estate, Open House, Reflection Lakes, Southwest Florida Real Estate.Tagged Ellis Team Weekend Open Houses, LFWS, Southwest Florida Median Home Prices, SWFL.